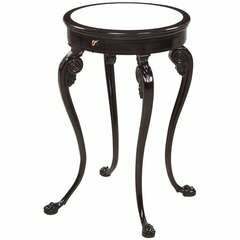 1950 French regency style glass side table. 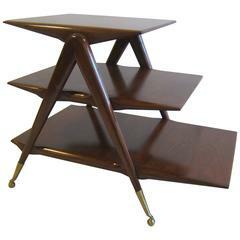 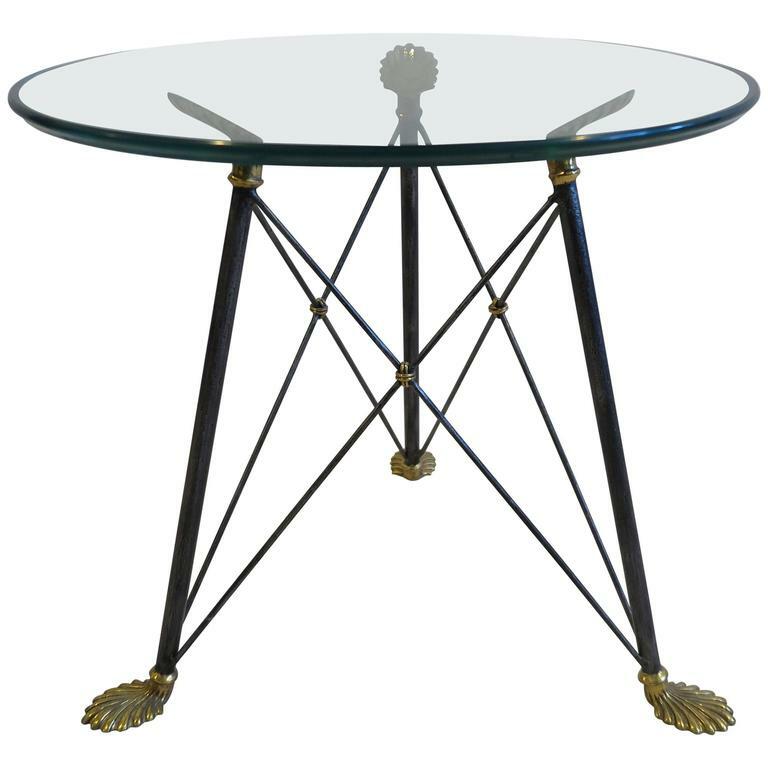 Glass top with steel ‘X’ frame base with brass leaf feet or hands and brass knot details in the style of Jansen. 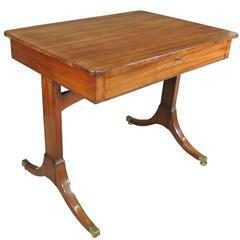 Light scratches to the glass, Very good condition. 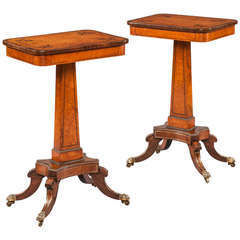 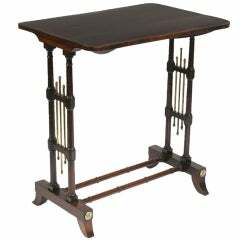 A fine Regency mahogany and inlaid ebony single drawer occasional table with Re-entrant corners and end supports on outswept feet ending in brass castors. 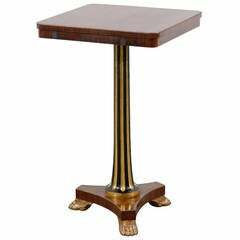 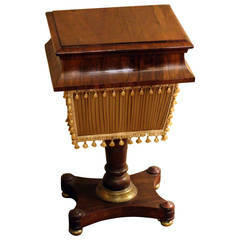 The rectangular top with rounded corners above ring-turned dual standard end supports and brass stems in between‚ ending in splayed legs‚ joined by two ring-turned stretchers.